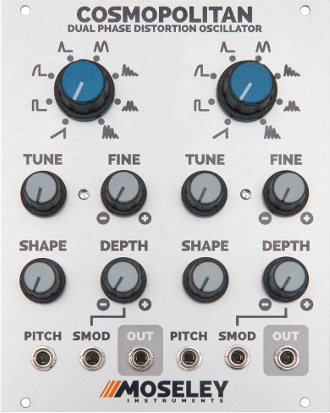 The Eurorack dual phase distortion oscillator you've always wanted! No additional modules were used, except for one VCA and one ADSR/LFO. Most of the clips were recorded without external effects. Two have external delay effects added. Phase distortion synthesis generates waveforms by speeding up one part of a sine wave while slowing down the second part. This technique gives excellent musical control over the timbre of the waveform.